ASOS came out with some really great new pieces for this autumn/winter and I desperately want to get my hands on a few special items. I want to bring in a different colour into my wardrobe: rust orange. I believe it is a colour with great dynamic and it is the perfect colour to transition from hot summer to crisp autumn. The co-ord shown is something I could use to wear the beautiful colour on top or on the bottom of an otherwise all black outfit. A tighter fit leather jacket is on my wishlist this season to layer over thinner shirts, like the button up pictured, when the weather is still on the warmer side. I'm in need of new seeing glasses, which is why I picked out these round Ray-Band frames. I personally think they have a really unique and dainty look that would look great with any outfit. Calvin Klein jumpers have been all the rage throughout summer and I don't see the trend dying anytime soon because its a great classic logo, but any sweater paired with a trimmed sleeveless duster jacket would add a great contrast and keep us warm on the cooler days. Add a pop of dark colour, like this olive green scarf and you're fit for a long day outside. I have been on the market for a really long ribbed sweater dress to wear on chilly nights out for ages. This one from Weekday on ASOS seems like the perfect shape for the upcoming fall. With a higher neck line as well as sleeves down to the elbows, it will definitely keep you warm but give you breathing space for the sunnier days. I could pair everything in this little wishlist with the Adidas Superstars because they are such a classic sneaker. This whole year white shoes have been 100% in and I don't want that trend to leave at all soon. Thanks love! 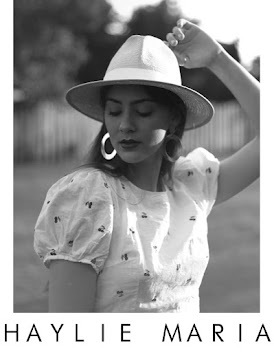 followed your blog with bloglovin', honestly great styling!